I’m bored! I’m hungry! Sound familiar? 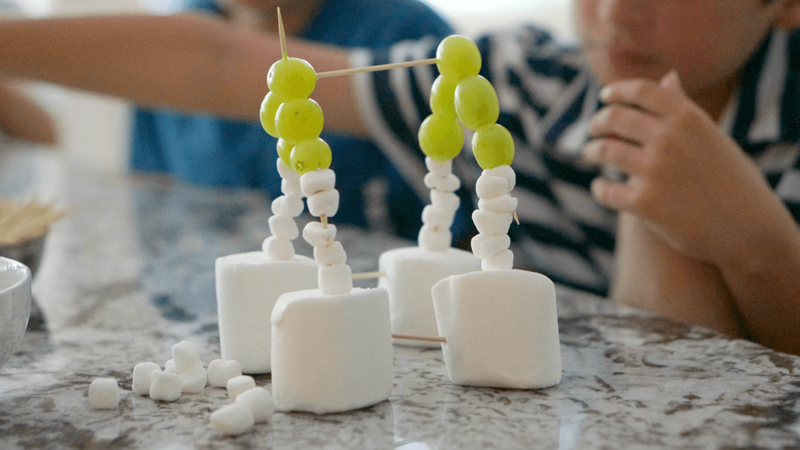 We’ve got three Craft ‘n Snack Activities you need to make this summer. With kids out of school, I find myself constantly wondering… how can they still be hungry? And how can they possibly be bored? Well, apparently it’s universal. No matter how many fruit snacks they eat or how many thousands of lego bricks they have - with the kids out of school, it’s always gonna be something. This is why I’m loving these three Craft ‘n Snack activities. They’re made with inexpensive ingredients from Harris Teeter and easy to pull out on a whim. And, when does a kid complain when you let them play with marshmallows and toothpicks? Never! These are the perfect rainy day/ I’m bored/ I’m hungry/ screen-free activities that you need on your bucket list this summer! 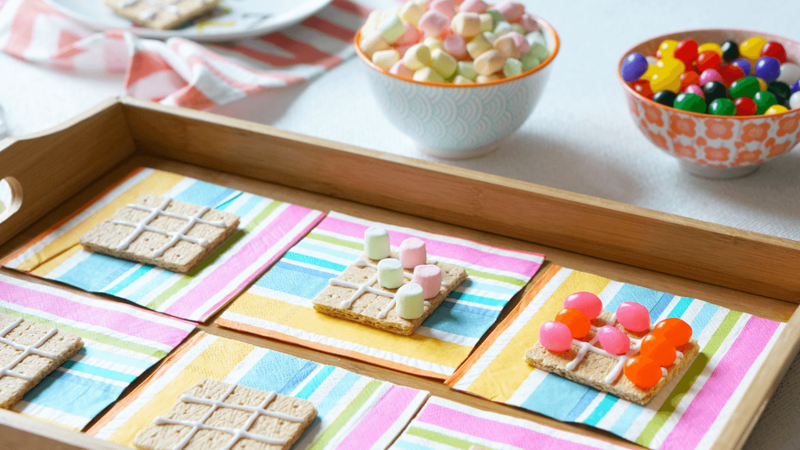 Break crackers in half and mark off tic tac toe boards with icing. Candies and marshmallows serve as the X’s and O’s. Have fun and make sure little kids have assistance with the toothpicks. 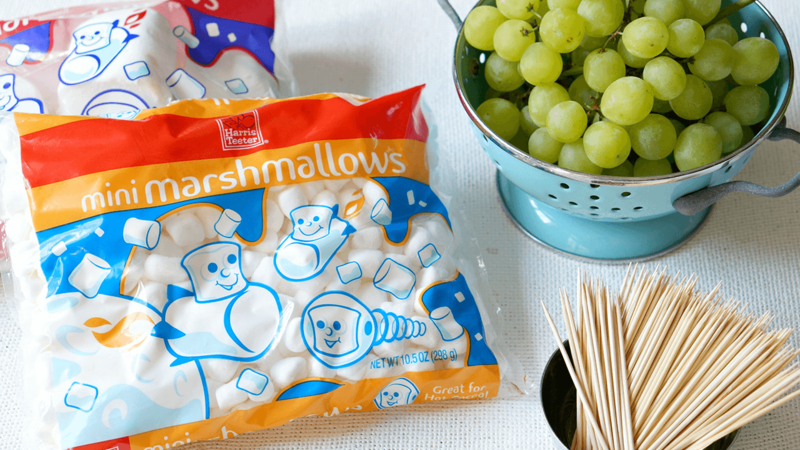 Cut marshmallows and grapes for children, as needed. Cut cheese in half, lengthwise. 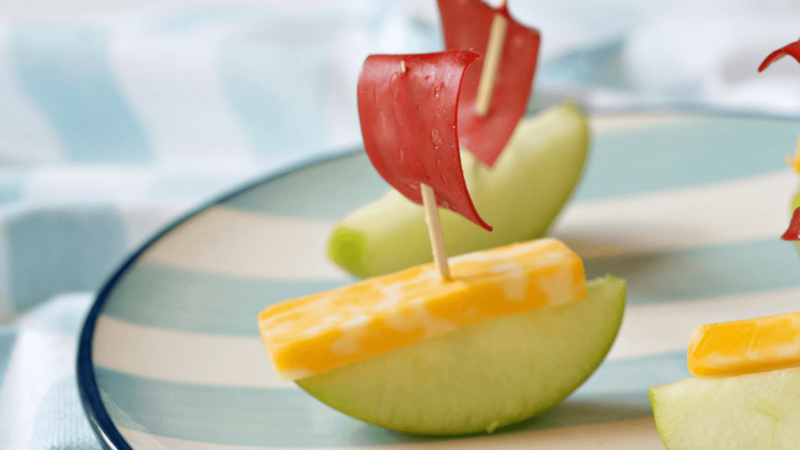 Boats can be assembled by inserting a toothpick in the center of each apple slice. A piece of cheese is fitted across the top, and a 1” piece of fruit leather can be threaded on the toothpick as the sail.